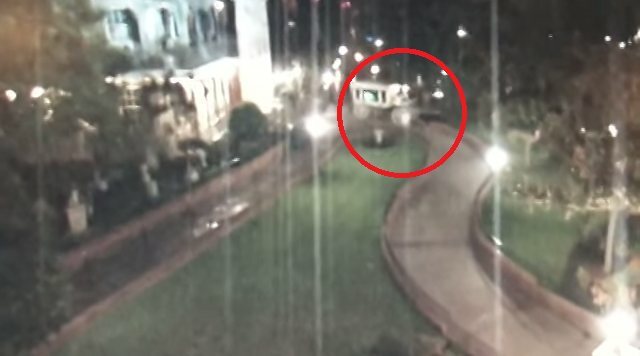 Footage shows a “ghost” walking and playing around at night in Disneyland. The video suggests that the ghost can walk on grass and on sidewalks without tourists present. According to the Huffington Post, the ghost even appears to walk on water. The video was originally posted in 2009, but it has recently gone viral after being posted in a Reddit thread. “Maybe they were still re-using vhs tapes and the static image came through from previous recordings. Like a lone janitor or something. It is compelling in any case,” speculated Reddit user Macaface. Another theory is that the ghost is that of Walt Disney.